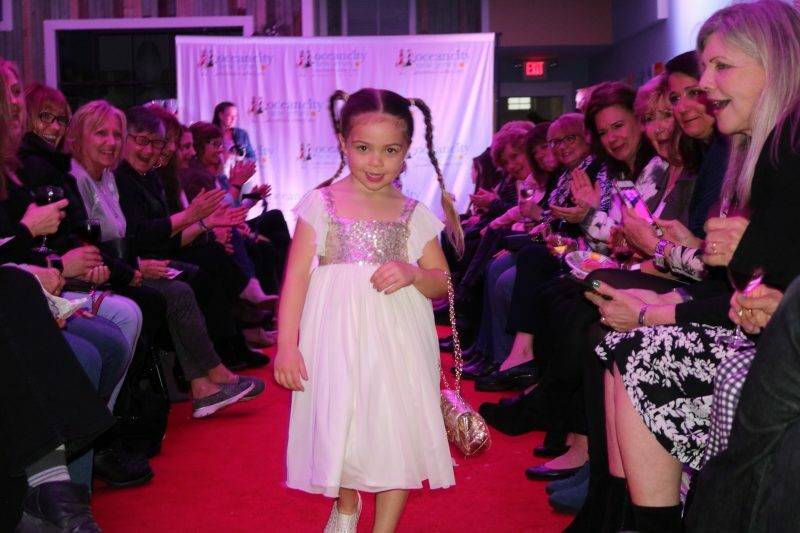 Little Miss Ocean City Stevie Wright owns the runway at the Fashion Show to kick off Girls Weekend Friday night. They strutted, they sashayed, and they certainly sizzled. 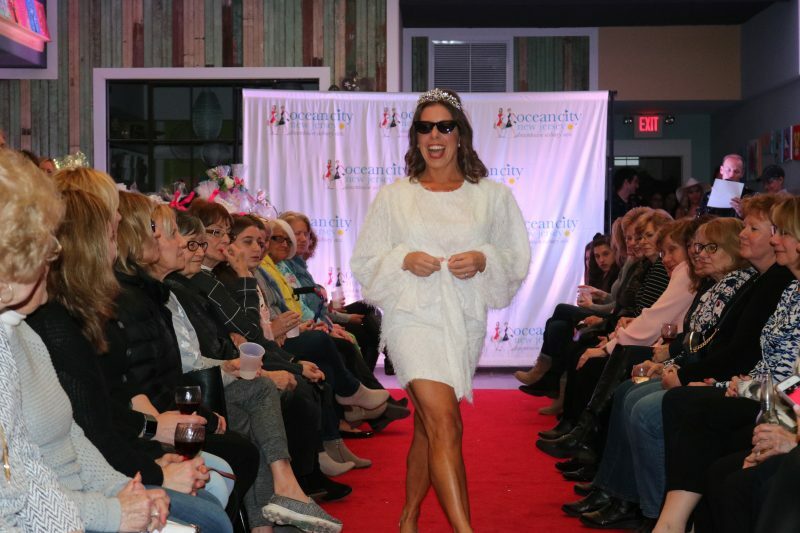 It may not have been a Paris fashion show featuring the latest haute couture, but Ocean City’s best put on its version with a lot of the glitz and glamour. 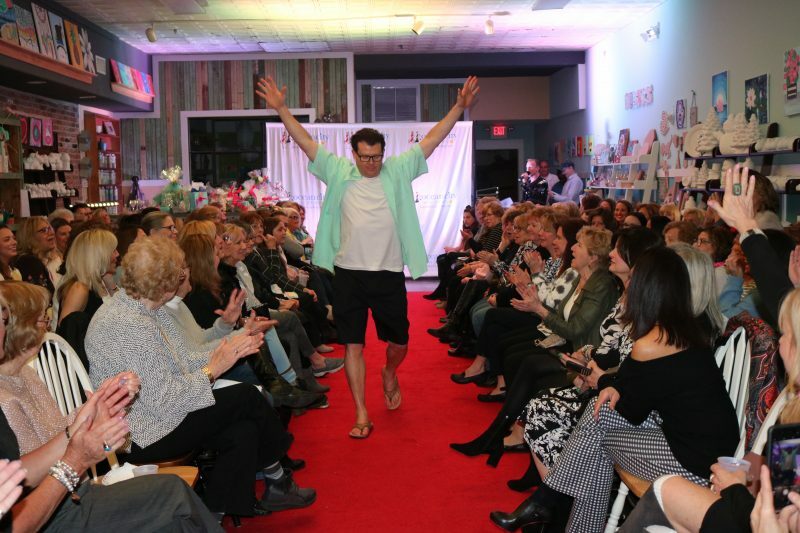 Combining laughs with “oohs and aahs” and applause, Ocean City’s fashion show at Glazed Over Studios, 704 Asbury Ave., had business owners, residents and even City Council members sporting snazzy threads. Erica Schaffer was all glammed up, even wearing a tiara to celebrate her birthday. 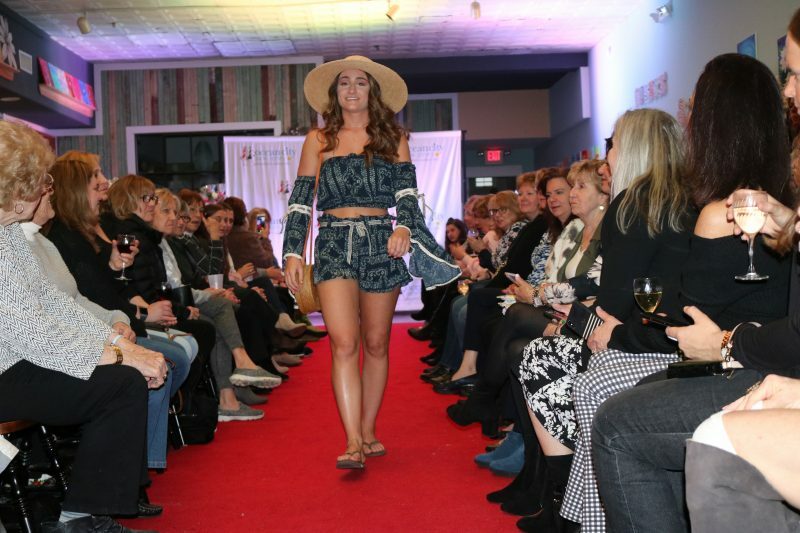 The fashion show served as a grand kickoff to the Girls Weekend celebration that is expected to bring scores of visitors and residents to the downtown shops and eateries, where they will be treated to discounts on merchandise and dining. Ocean City Regional Chamber of Commerce Executive Director Michele Gillian noted that the event grows each year. 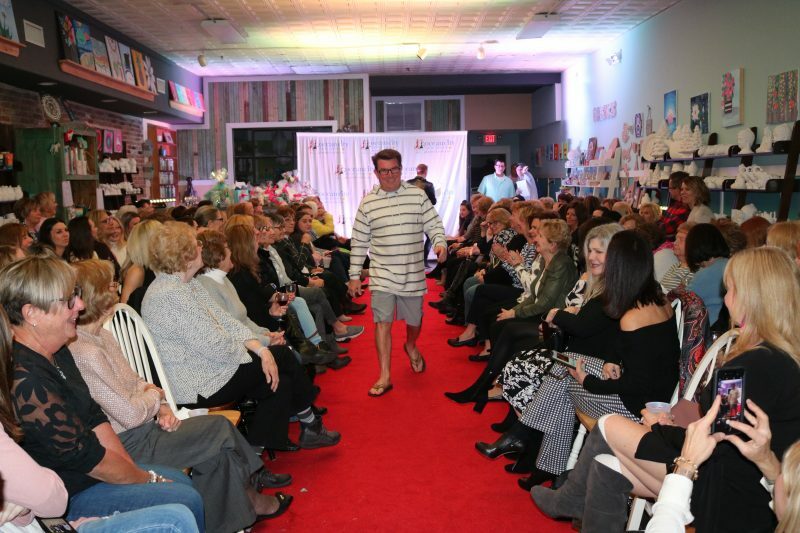 Guests got to see the top fashions on models from shops including 7th Street Surf Shop, Making Waves, Sea Oats Children’s Shop, Sun Seekers, TaDah, Bowfish Kids, Colette, Coastal Consign and Design and Stainton’s during the show. Friends Karen Mahar, left, Jennifer Shirk and Heather James have a fun time. “I am wearing sequins and heels. This is the night to do that. 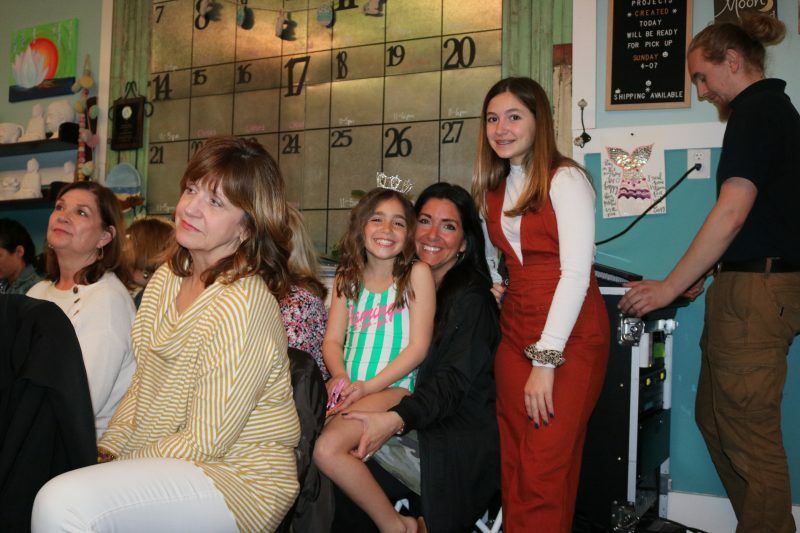 It is a great way to start Girls Weekend,” said Jennifer Shirk, local author and president of the Ocean City Free Public Library Board of Trustees. 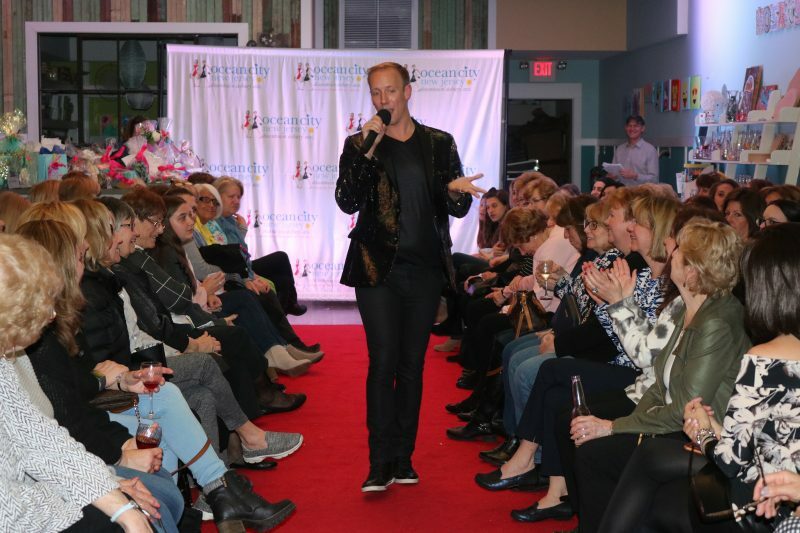 Ocean City Special Events Coordinator Michael Hartman emceed the fashion show, keeping the audience entertained as he joked with them and read the outfit descriptions. Hartman said the fashion show is a perfect way to usher in Girls Weekend. Michael Hartman jokes with the audience. 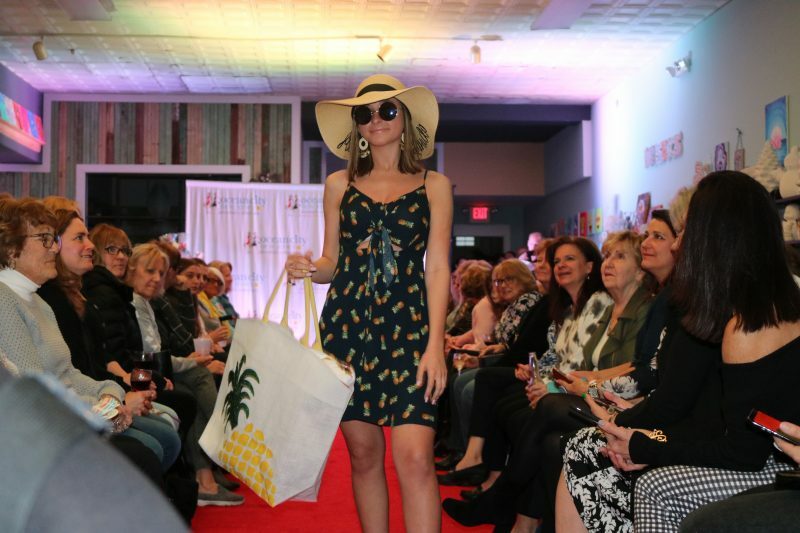 Everything from big sunglasses and wide hats, to sundresses and some urban-inspired separates, kept the audience guessing what outfit would come next. A flowy white gown was a crowd favorite. Fringe on pants bottoms also lent to the intrigue and surprise of what the latest in high fashion was all about. But it seemed the children’s attire elicited the most excitement from the audience. Little Miss Ocean City Stevie Wright’s swim gear, complete with a floaty tube, was a favorite. 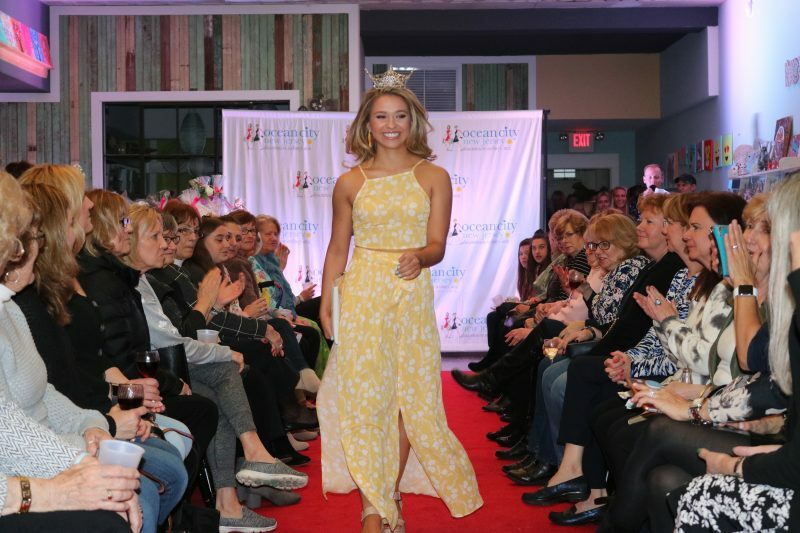 Miss Ocean City Megan Keenan strutted down the runway with a wide smile in a long dress that sent the audience into applause. Miss New Jersey Jamie Gialloreto makes a special and very welcomed appearance. 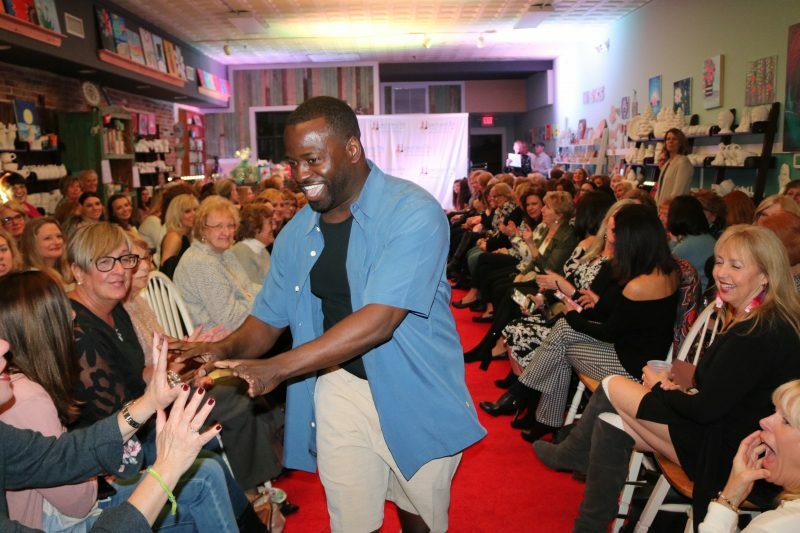 And the fashion show even had a special guest. Miss New Jersey Jamie Gialloreto made a surprise appearance and took to the runway a couple of times in lovely flowing dresses. 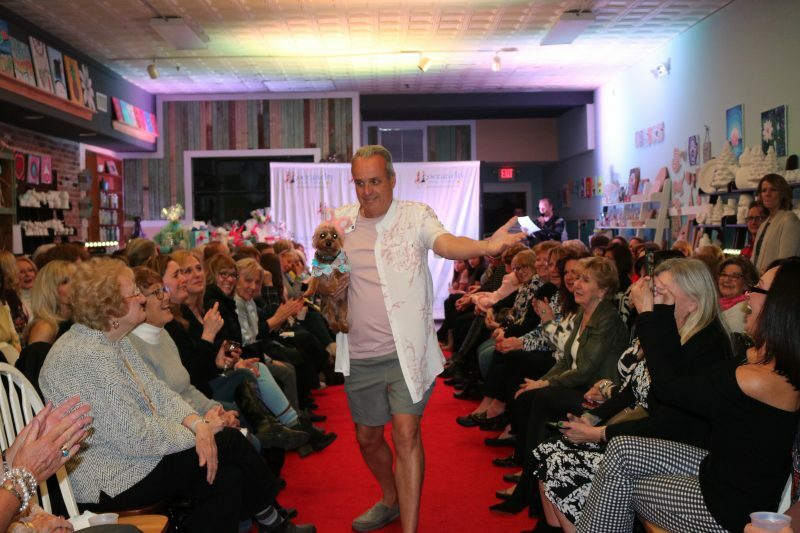 Members of City Council served as models for the spring and summer fashions and made their way down the runway smiling, greeting audience members and waving. Council President Peter Madden, Council Vice President Tony Wilson, Councilman Antwan McClellan, Councilman Mike DeVlieger and Councilman Keith Hartzell, who held his Yorkie, who was also dressed in fine apparel, showed off their threads. 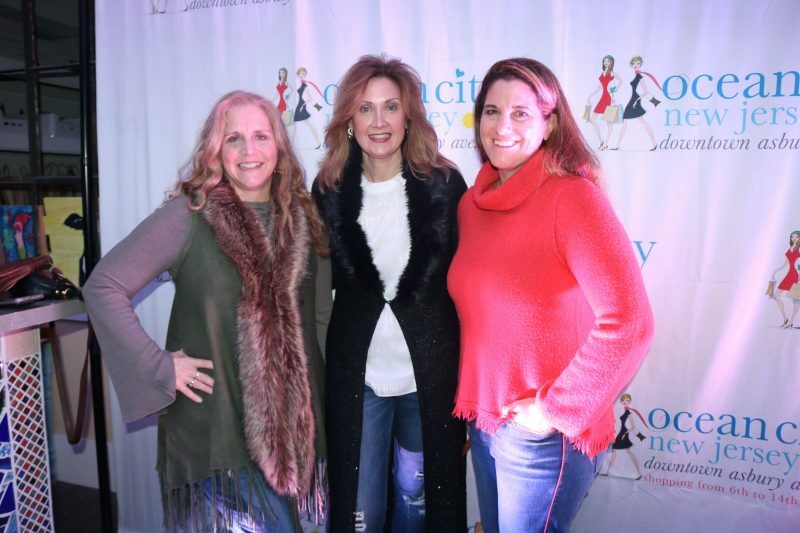 Patty Talese, owner of Jon & Patty’s and head of the Downtown Merchants Association, hosted the fashion show. Talese started Girls Weekend four years ago. Scout Berenato is all smiles in her Bowfish duds. 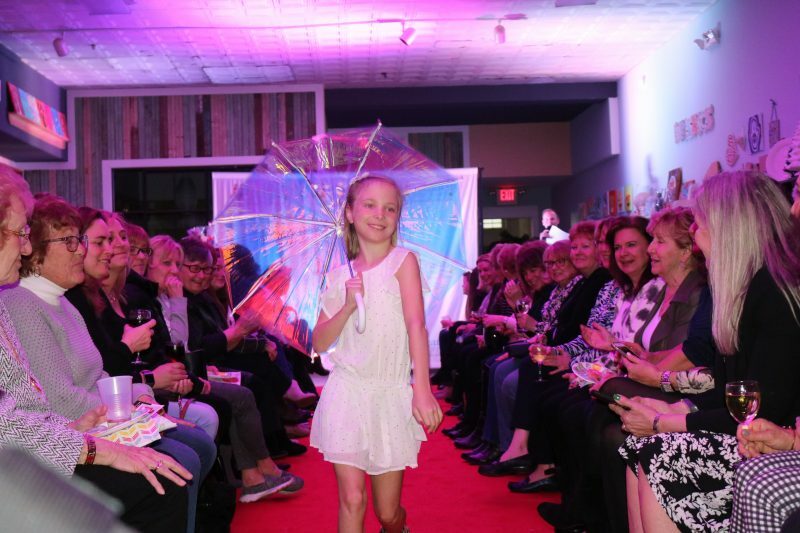 Kai Linthicum, of Ocean City, strikes a pose complete with her umbrella. Harper Juelg, of Ocean City, shows off her fancy attire. 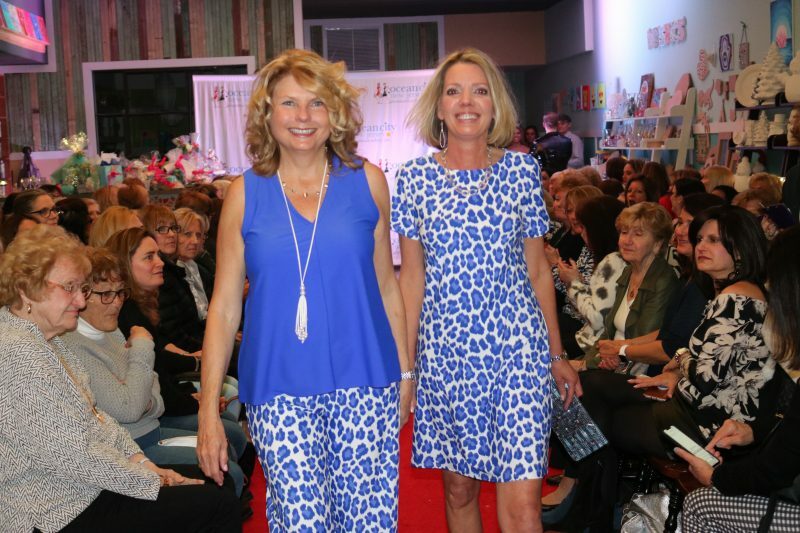 Diane Speitel (right) with close friend, Joan Spoffel, pair up for the runway. Print separates were popular on the runway. Big rimmed hats and sunglasses were all the rage. Little Miss Ocean City Stevie Wright with mother Stacie Wright. Councilman Keith Hartzell and his pooch take to the red carpet. Councilman Mike DeVlieger gets into the show. Council President Peter Madden looks ready for the beach. Councilman Antwan McClellan engages the crowd. Council Vice President Tony Wilson struts his stuff. Previous articleSkaters Take Back the Night in O.C.